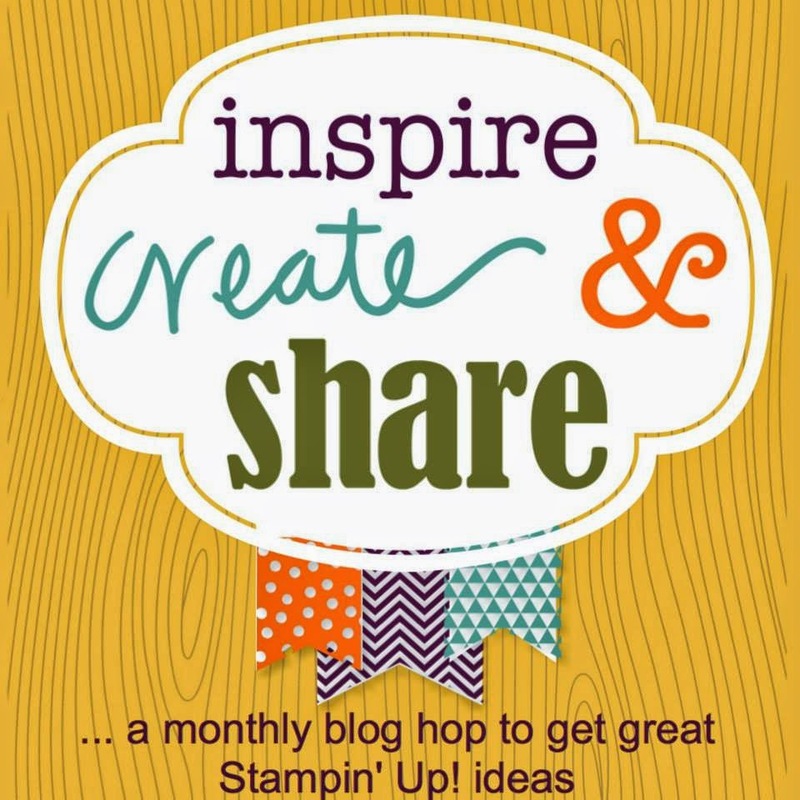 Inspire, Create & Share Blog Hop!!! I can't believe we are already thinking about Thanksgiving! I feel as if we should be welcoming July 4th the year has gone by so quickly! I recently held a workshop on the "baby wipe method" & came up with some very pretty fall cards! This one is fairly simple but I think it really "pops"! 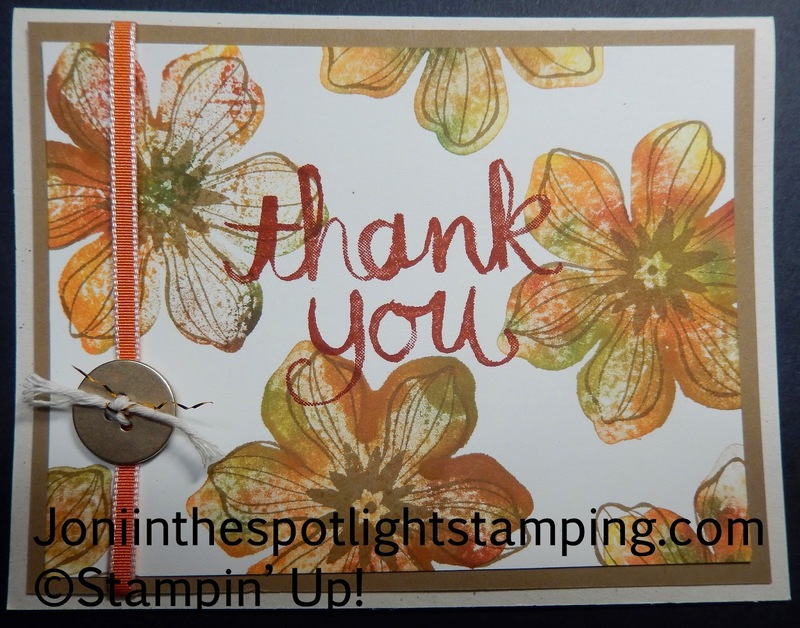 The thank you sentiment is one of my favorites-the Watercolor Thank You stamp! It's bold & simple & packs a punch! Beautiful Bunch stamp set. It works perfectly for this technique! The outline portion was stamped with Cajun Craze. Love that color in the fall!!! The Gold Buttons are also soooooo pretty!!! They tend to work well with the fall projects! Here I will admit to a retired color of ribbon-Pumpkin Pie, but you can still get the 1/8" Taffeta Ribbon in other colors. The Pumpkin Pie was on the Clearance Rack, so act quickly if you still want it!!! So I hope you enjoyed this month's card! Now click on the picture below & go to Pearl's blog to see what beauty she has in store for you!!! Then keep going!!! Be sure to stop & leave a comment! We love feedback!!! Joni, this card is so nice! Drop dead gorgeous card Joni! Thanks for hopping along with us! I just ordered this set --guess I'll have to try it with the watercolor technique. This is beautiful. Love your fall colors and great reminder of this technique! Love your use of color on this card - very nice. Love the fall colors on your card! Very nice card! I love the colors, and that gold button!! Great card. I love how you used the flower and the colors are perfect for the fall season. What a beautiful card! I love the gold button. 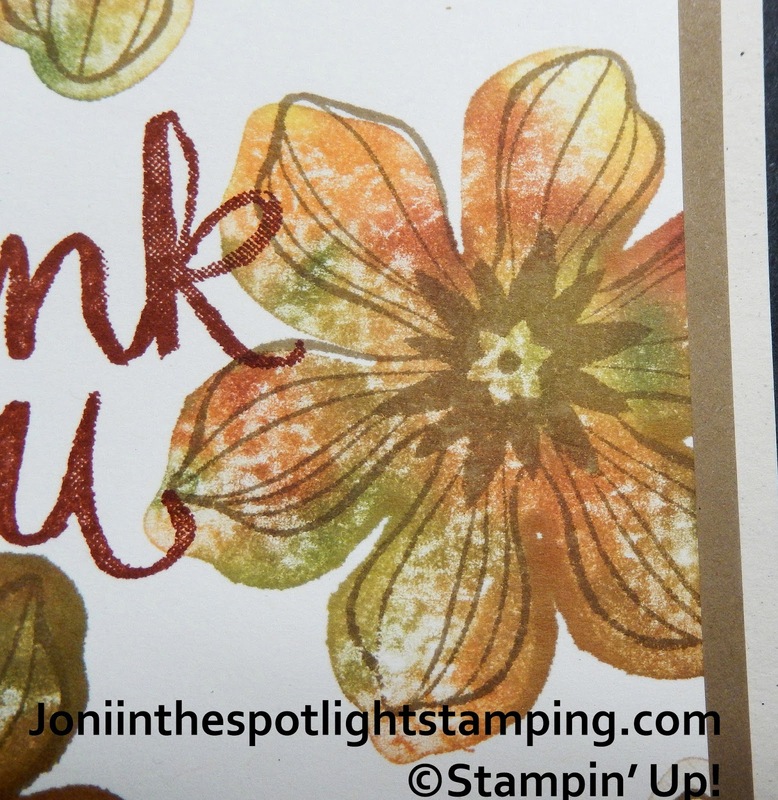 Love the watercolor "thank you" on your card and the use of the colors! !